The Tropical Fish Aquarium was once a goldfish stall on Western Street (“Students’ Street”) before it moved to Second Street. 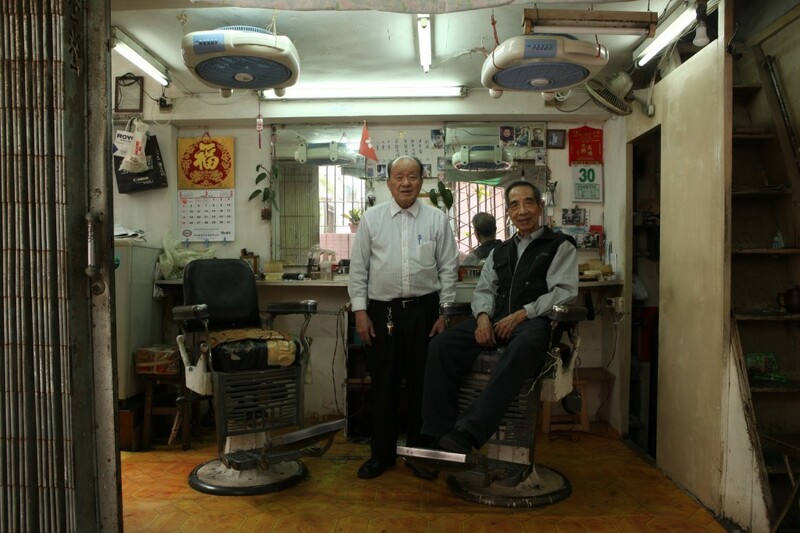 In 2003, current owner Mr. Chan, a regular customer, took over the shop from the previous owner upon his retirement. It has been more than fifty years since the shop was first opened. The shop sells fish of different species and sizes, aquariums, aquascape products and various kinds of medication for fish. The shop also provides a “hotel for turtles service” for the convenience of pet owners when travelling abroad. Sometimes, Mr. Chan is entrusted by Nam Pak Hong in Sheung Wan to take care of extra large aquariums that are symbols of Fung Shui and good fortune in Chinese culture. Living conditions were poor in the past, and keeping fish provided cheap entertainment for ordinary people. 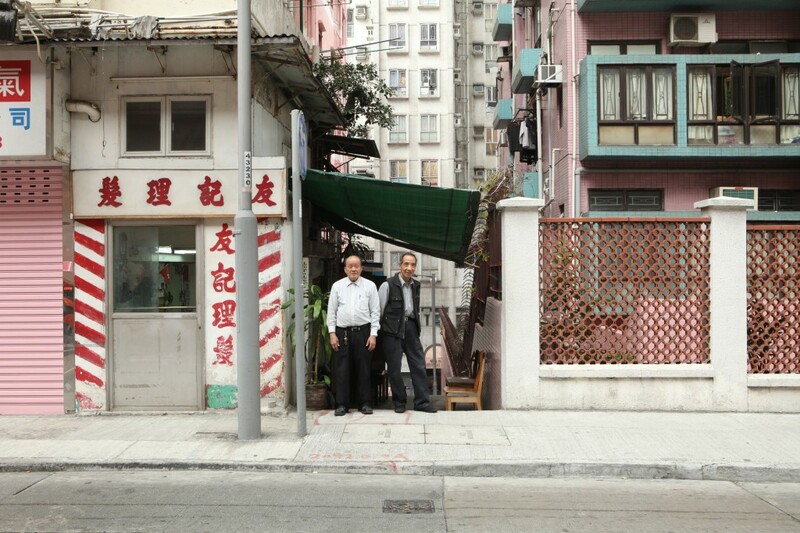 There used to be more than ten aquatic shops in the area from Sai Ying Pun to Kennedy Town. Nowadays, as forms of entertainment and trends of pet-keeping change, Tropical Fish Aquarium is the only aquatic shop left in Sai Ying Pun. The Above picture was taken in March 2012, which showed the shop’s interiors, with two old barber chairs, daily items the two owners used during their time in shop, as well as the wooden staircase leading to the attic. 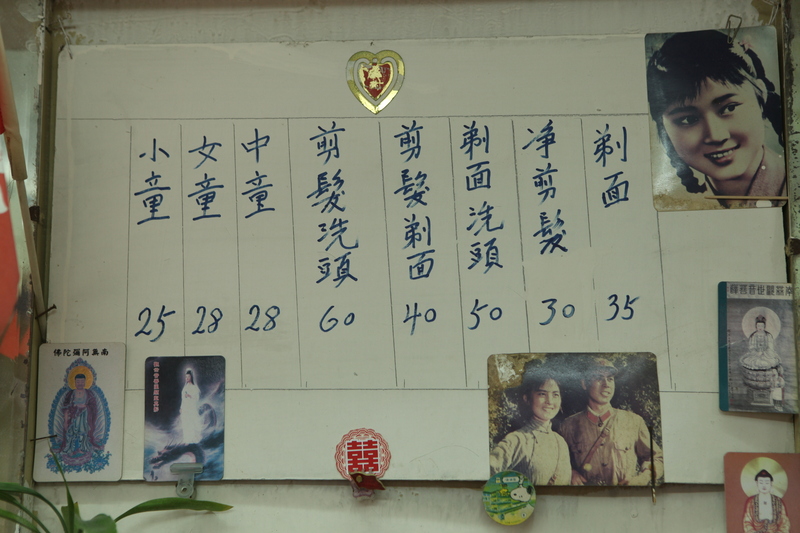 The price menu remained unchanged for years, in which an adult’s hair washing and cutting service was still marked for HKD60 when the shop closed in August 2014. What the menu board had changed over time was more cards, be it of movie stars or Buddha, attached to it. The beauty in the right-top picture, as Mr Wu said, was a famous actress in the mainland who led a leading role in “Liu San Jie” in late 60s to 70s. Her youth and grace, captured in the picture, stayed the same in the shop’s old atmosphere.